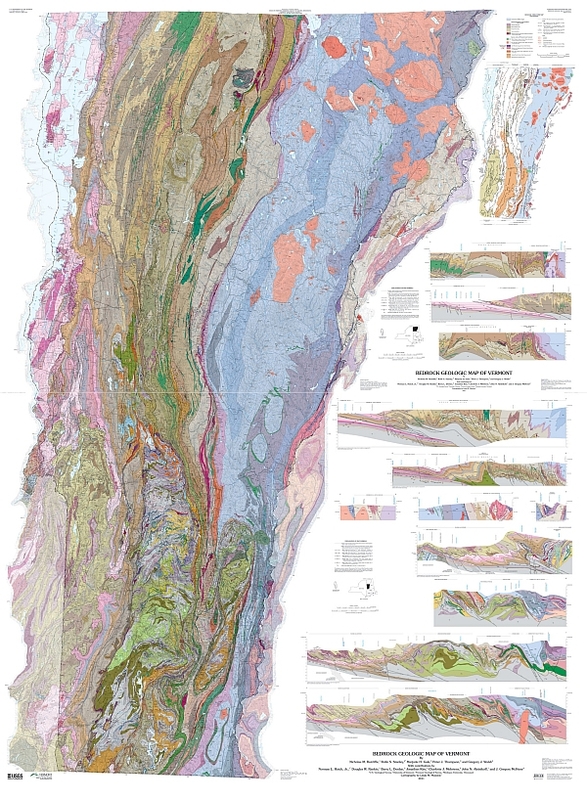 The Vermont Geological Survey at the Agency of Natural Resources, the United States Geological Survey, and University of Vermont have participated since the early 1980’s in a cooperative venture to produce the new bedrock geological map of Vermont. The map has a 2011 publication date which is 150 years (sesquicentennial) since the first 1861 geologic map of Vermont and 50 years since the 1961 Centennial Geologic Map of Vermont. The map incorporates 30 years of new approaches to geologic mapping and the technologies that support it. As a fundamental data layer, it is a show piece of the present understanding of Vermont geology. The map will be the geoscience base for years to come, helping us to address Vermont’s environmental issues and informing our interaction with and protection of our natural resources. As always, please let me know if you like one of these entries. 7. World Bank Announces Its Crowdsourced Map Data Will Be Free for the Crowd http://techpresident.com/news/21989/world-bank-announces-its-crowdsourced-map-data-will-be-free-crowd, via the Spatial Law and Policy blog. Plane Finder, the real-time plane tracking website, has added options to view both the cloud layer and the weather layer on its Google Map. To view the new weather layers on Plane Finder select ‘Map Options’, ‘Map’ and then select the ‘cloud’ and / or ‘weather’ check buttons. Martin Kleppe of Ubilabs has created a rather beautiful example of the cloud layer in action on a styled Google Map. This example map uses dark map tiles which contrast nicely with the new fluffy white clouds. You are currently browsing the VCGI's Blog blog archives for April, 2012.